With the internet becoming part and parcel of our daily lives; internet speed is something that has become an obsession with us. The rising popularity of videos and gaming consoles has raised the importance of internet speed notches higher. You not only get various speed testing sites where you can easily check your internet speed. The main marketing arsenal for the best broadband deals in the UK is the speed offered by them to their users. Here, we would try to understand what speed means and what to look for at this comparison site https://broadbanddeals.com when comparing various broadband deals. In simple terms, broadband speed defines how fast your downloads or uploads will happen through your modem. Not many understand, but broadband speed is differentiated into upload speed and download speed which are often not the same. More often than not, download speed is much faster than the upload speed. It is understandable as more people download music files, videos, etc. rather than upload them. You need to ask your provider for both speeds and check if they meet your requirement. Another thing to notice is that the speed advertised by most providers is not the speed that they would offer you but the maximum speed that they can offer. It would help if you got the estimated speed that you are likely to get in the plan selected by you. Megabits per second (Mbps) is the unit used to measure the broadband speed. Higher megabits denote a faster internet speed and thus, a faster connection. The standard speed offered by most internet providers is up to 38Mbps. The superfast fiber connections offer speeds up to 76Mbps. Higher speeds than this are also available, but they tend to be highly expensive and generally not required for home usage. The internet speed that would be ideal for you would be decided by how you use the internet. The number of people using the broadband connection in the house, the number of devices attached to the internet connection, the extent of online games played or sites like Netflix watched will decide the speed that would work best for you. 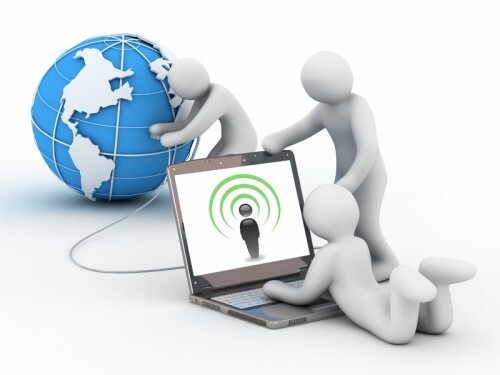 The internet speed you will be getting with your connection is often quoted specifically in the agreement that is drawn with your agreed provider. It also states out the maximum speed that the line can support as well as also specifies a minimum guaranteed speed. It is highly recommended that you test the speed you are promised at authentic speed checking sites. These sites check your connection several times and test and track the speed, multiple times. Post it; they show their accurate assessment of the broadband speed. There are several factors that determine your internet speed apart from the provider. Few of them are the type of connection, distance from the exchange in case of ADSL broadband, exchange contention ratio, i.e. the maximum number of people recommended to use the internet at any given time, number of devices connected, quality of cables and router, weather conditions, etc. With the knowledge up your sleeve, you can easily compare various broadband deals and choose the best fit for you. How to Find the Best Austin SEO company online?